Impress your friends and family with this tasty and delicious dessert recipe – Caramel Apple Crisp. 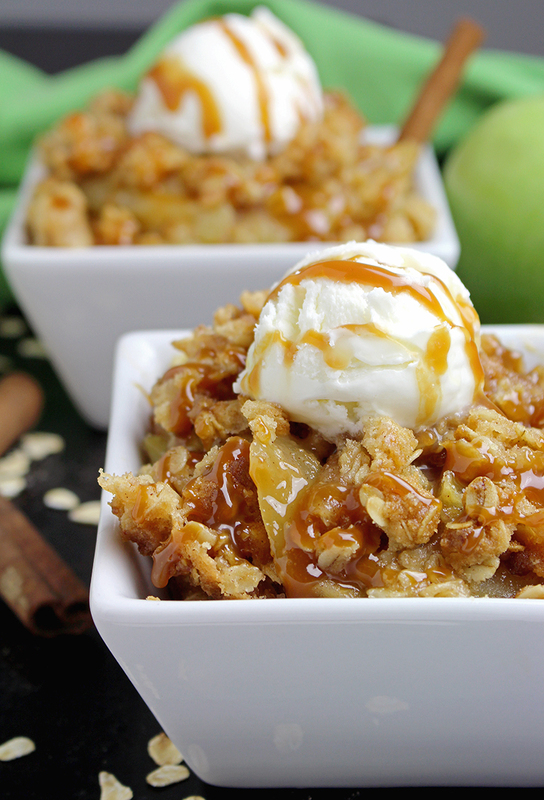 The Best Caramel Apple Crisp Ever really deserves this name. Some of this warm Caramel Apple Crisp is sure to satisfy your sweet tooth. My love for fruit begins early from my childhood and my mom`s kitchen, so it was not so difficult to go step forward in my kitchen adventures..
Caramel Apple Crisp is one of those recipes that you probably have at your hand. It was always one of my favorite desserts recipes, together with most popular dessert recipes on our blog Caramel Pretzel Cheesecake Ice Cream and Caramel Apple Chimichangas. 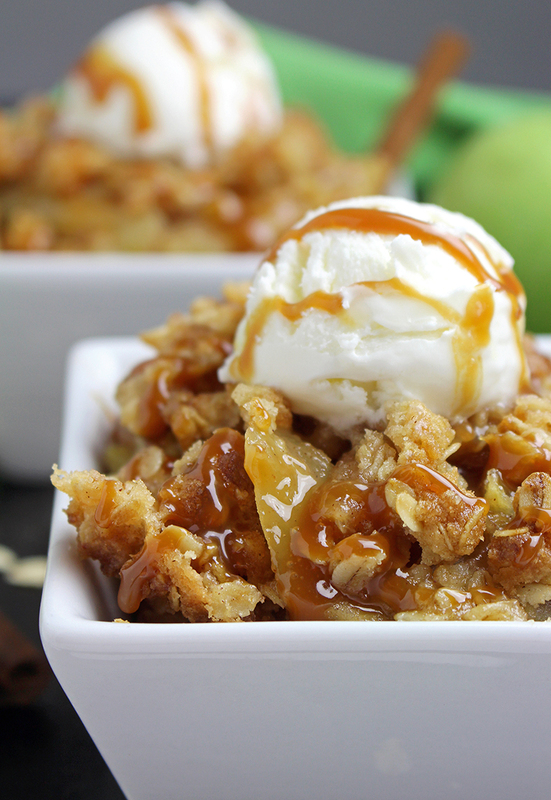 What do you need to make this Caramel Apple Crisp? How to make Caramel Apple Crisp? Pour milk or water, lemon juice, vanilla extract, ground cinnamon, ground nutmeg, brown sugar, pinch of salt, flour and butter in a medium bowl. Stir until it becomes smooth. Set aside. Peel the apples and cut them into thin slices. Place the apples in an 8×8 inch baking dish, coat them in the apple filling. Leave aside. Mix flour, rolled oats, baking powder, pinch of salt, ground cinnamon and brown sugar in a large bowl. Add chopped butter and stir well until it resembles small crumbs. Coat evenly the apples with the resulting mixture. Bake at 375F, for 25-30 minutes. Impress your friends and family with this tasty and delicious Apple Crisp. The Best Caramel Apple Crisp Ever really deserves this name. Peel the apples and cut them into thin slices. Place the apples in an 8x8 inch baking dish, coat them in the apple filling. Leave aside. Wow! 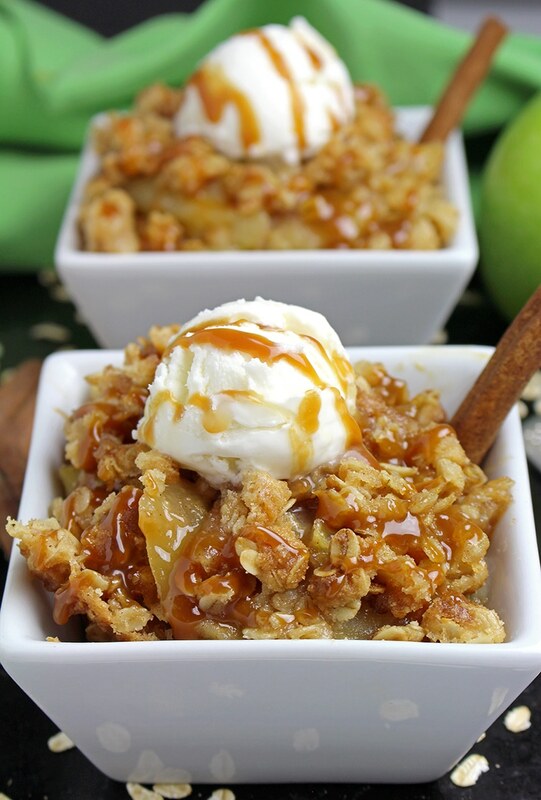 This Caramel Apple Crisp makes my mouth utterly water! A perfect fall dessert that I hope to make soon! Apple crisp has always been a favorite of mine and when I saw the pics of this recipe I had no choice…I HAD to try it and man am I glad I did! I always thought mom’s was the best so her recipe is the one I’ve always used – til this one. Shhhh don’t tell mom but this is far better than hers lol I will gladly make this recipe again and again! Caramel apple crisp looking awesome. Love your detailed procedure and photography. Can this be made ahead ? Can I freeze it? Yes Gelly, apple crisp works great prepared a day in advance and you can freeze it, as well. Just make sure it is sealed in an airtight container, then re-bake it at 350 F for about 25 minutes.